The Cruise Examiner for 10th November 2014... .. 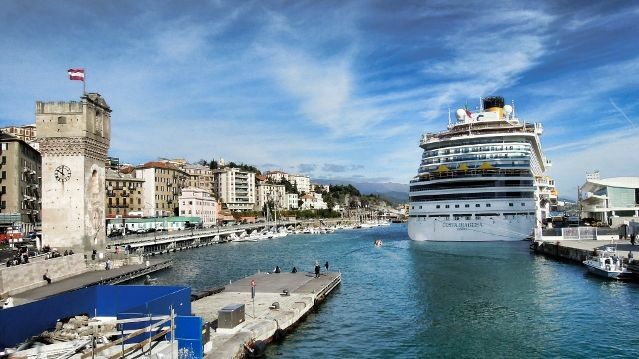 This weekend saw the christening of the largest Italian-flag ship, the €550 million 3,708-berth Costa Diadema, in Genoa, as well as the opening of a second Costa cruise terminal in Savona (above). Meanwhile, in Germany, the owners of the Astor have followed the owners of the Deutschland into insolvency, although in both cases it is claimed that the ships will continue to operate. Finally we have a look at a couple of interesting ships’ names as related to where they will be based from next year.